There is even more danger outside of the Elfin settlement of Westleton than Pil Persins and his friends ever imagined in After the Dark by Spencer Labbe. In this first volume of The Castaway King Chronicles, Pil and his friends, Felicity Falon and Dunken Dirk, try out for the elite squad known as the Exidite and manage to get accepted. On their very first day, they are involved in a mission to the topside where monsters and vicious creatures are said to eat Elfin who stray out of their underground community after daylight begins. Unfortunately, it’s not only strange beings that the friends have to watch out for! Another Entri, a new recruit, thinks he is superior to all the others and constantly threatens Pil and his friends. As they are stranded on the surface of Haven, they experience an amazing series of crises and discover that life in Westleton is not as safe and secure as they had always believed. It will take tremendous determination and leadership for the young Entri to survive a danger no one had realized was threatening their existence. 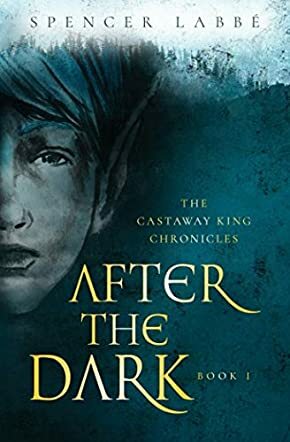 Fantastic characters and intense action make After the Dark: The Castaway King Chronicles Book 1 a wonderful experience for older children and YA readers. Many issues are intertwined as these friends, each with a distinct personality and family issues, test their abilities and overcome obstacles they never even imagined. Great story with wonderful, well developed characters. I love the personal/emotional issues they each face and will be interested to see how they work these out (along with saving the Elfin!). I found the writing quite engaging and I think the story will be attractive to the age group. Love, loyalty, dedication and determination are all qualities that are put to the test as they are thrust into the adult world in this first volume of what promises to be a terrific series.